As the trenchless subconsultant to Fugro West, Bennett Trenchless Engineers provided full design assistance and full-time construction inspection services for four trenchless crossings on the 19-mile raw water pipeline project connecting EBMUD’s Folsom South Canal to the Mokelumne Aqueducts. Microtunneling was used for three of the four crossings and open-shield pipejacking was used for the fourth. The crossings ranged from 110 feet to 430 feet in length and 84– to 102-inches in diameter. Trenchless methods were used to cross beneath the Mokelumne River, California Highway 12, a major surface road, and a wetland area. The most challenging trenchless crossing was the 430-foot microtunneled crossing of the Mokelumne River. Shafts were constructed using a new technology called Cutter-Soil Mixing that allowed the construction of deep, watertight shafts through very difficult soil and rock conditions. 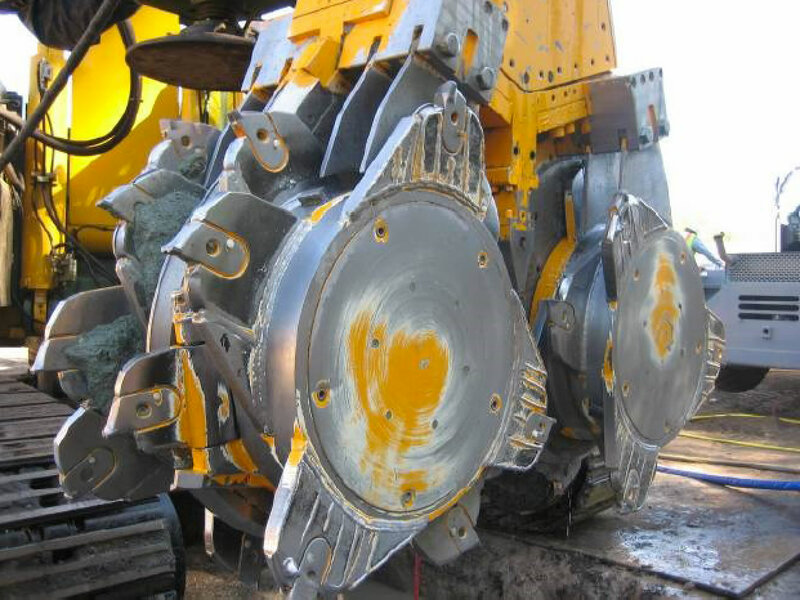 A specialized drill rig created interlocking panels of soil-crete to form the shaft walls. This project was the first project completed in the United States using this technology to create shafts for microtunneling. Additional challenges on the crossing included construction of deep shafts, high groundwater, the presence of soft rock at the tunnel elevation, a prohibition on rescue shafts in the river should the machine have gotten stuck, and tight environmental restrictions.